The astrologer who was convicted for trying to kill Rajiv is being probed for involvement in an alleged plot against the Srilankan President. COLOMBO: On Tuesday, Sri Lanka said it was investigating a former navy sailor convicted of attempting to assassinate India's Rajiv Gandhi 25 years ago, on suspicion of involvement in an alleged plot to kill its president. Vijithamuni Rohana de Silva served two and a half years in prison for trying to murder the former Indian leader as he inspected a naval guard of honour in Colombo in 1987. He has since turned to astrology. 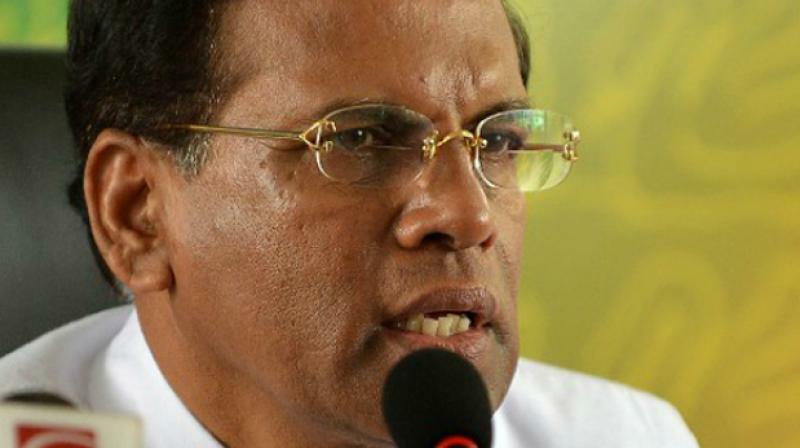 On Tuesday, Sri Lanka's Information and Parliamentary Affairs ministry secretary said police were investigating whether he was part of a plot to kill President Maithripala Sirisena. Nimal Bopage said authorities could not ignore claims De Silva had posted on Facebook and other social media over the past five months, in what he called a sustained campaign. "This man claims to be an astrologer and he is predicting that the president will be killed by January 26," Bopage said. He further added, "We have alerted the police to carry out a criminal investigation because we suspect this to be part of a wider plot to assassinate the president." De Silva took up a singing career after his release from jail, later turning to politics, before settling on astrology. Notably, Sri Lankan politicians have immense faith in astrology. Many have their own seers whose predictions are considered more important than the advice of senior aides. Former president Mahinda Rajapakse called a snap election nearly two years ahead of schedule on the advice of his personal astrologer and lost to Sirisena.